Why are you here and reading about enabling telnet in your Windows 8 PC ? What is the use of Telnet ? You must read this before you know how enable telnet services . We Use Remote Desktop Connection to get control on other system, But it has a problem that the target system will not able to see what is happening on his PC, then it came Remote Assistant which allows us see what's happening on our PC by the other user. But in both cases the targeted user know that somebody is working on his PC. 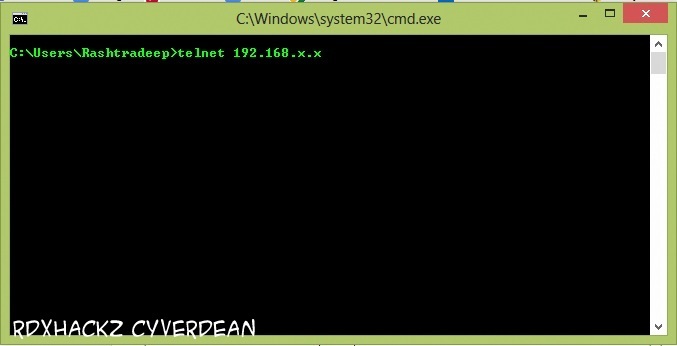 Then finally we are moving to telnet, As we know that we can do everything with Command Prompt on our PC what we could do in Graphical Mode, So Telnet is a Service which allows us to login with the target system's Command Prompt, and you are in you can do anything in his PC, sitting on your computer, you have his computer in your hands, without letting him know. Besides this you must have good knowledge of DOS Commands . The port number of telnet is 23. Click Turn Windows Features On Or Off . Select the Check Boxes of Telnet Client and Telnet Server > Click OK.
Now Use Telnet Command in Your Command Prompt .